Cooler temperatures often send us into the kitchen for warm, hearty meals—and, of course, holiday treats. Thanks in part to its key ingredient, pumpkin bread reigns as one of winter’s most scrumptious delights. Beat butter and sugar until creamy. Mix in eggs and vanilla. Mix baking soda, flour, pumpkin pie spice and cinnamon. Slowly mix dry ingredients with butter and sugar. Fold in pumpkin puree until mixed thoroughly. Grease a 9×5 pan and pour batter into pan. Bake for 45-50 minutes or until a toothpick comes out clean. 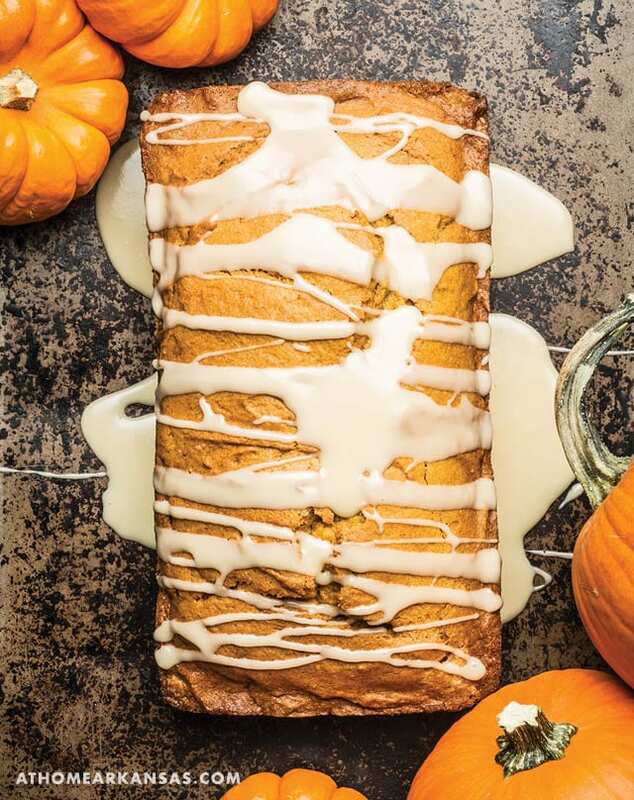 Combine milk and sugar then drizzle over slightly cooled pumpkin bread. 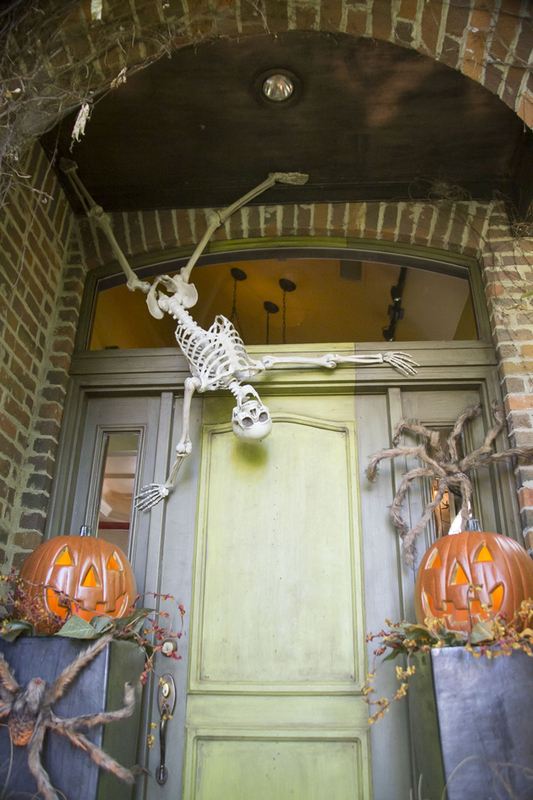 What happens the day after Halloween? 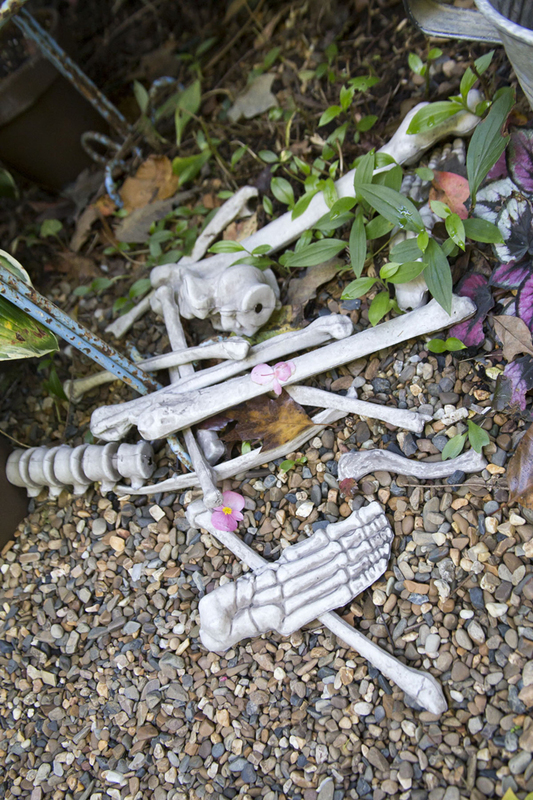 On the Catholic calendar, that day is All Souls’ Day, but otherwise what do you typically do? 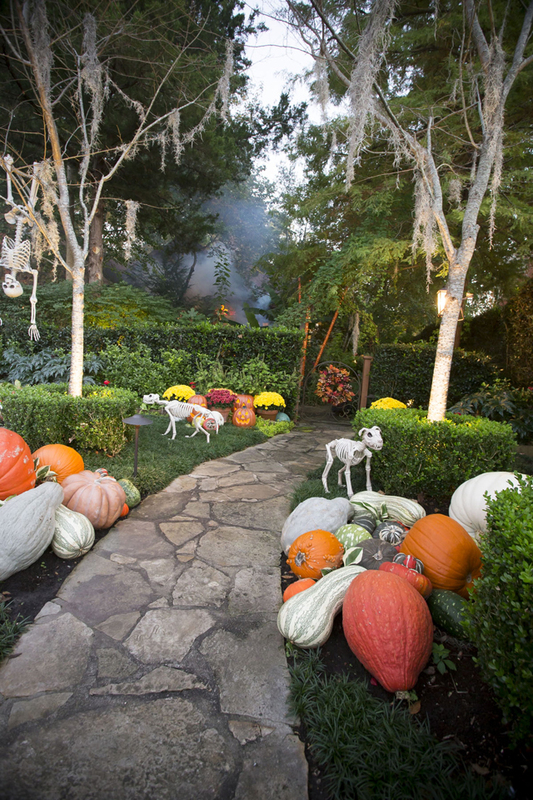 Many will turn their thoughts to Thanksgiving and Christmas preparation and decorating, which means giving those pumpkins and squash and gourds the heave. Or at least relegate them to some dark corner until a member of the household shows mercy and carries them out to the curb. I’ve used an old candle stand to display some vintage ornaments, then brought in two pumpkins and tossed various squashes into the mix. See how well these colors work together? Nothing scary, forced or especially self-conscious, either. And the textures are a nice combination as well. 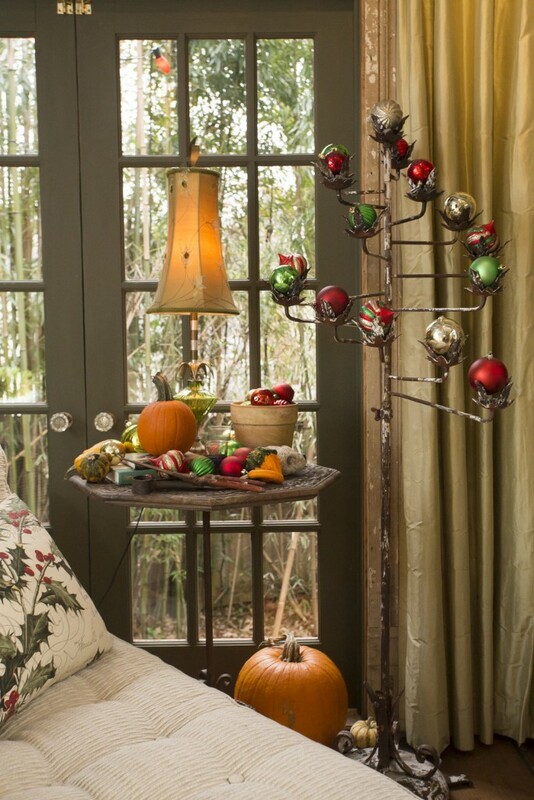 Use striped ornaments and striped squashes together. Notice the textural contrast and the colors. The tonality works well, doesn’t it? Now, you’re starting to get the picture. 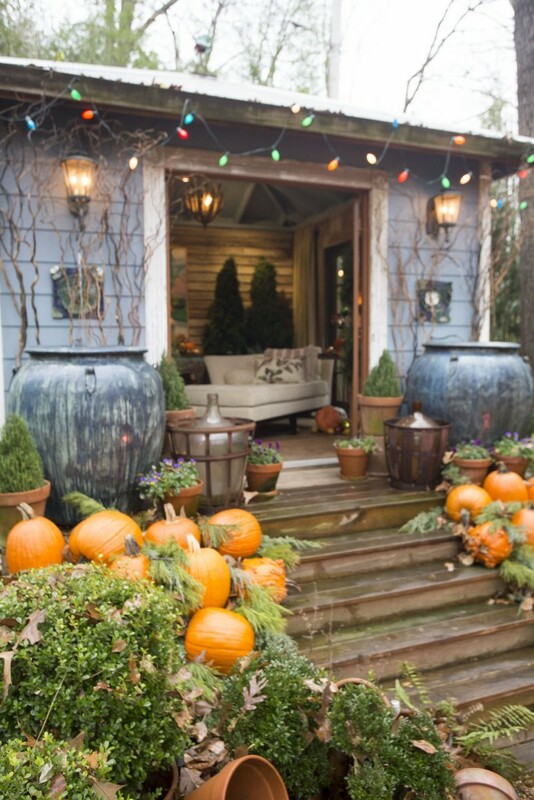 Terra cotta always works well with pumpkins; the smoothness of their surfaces correspond and the colors always blend. 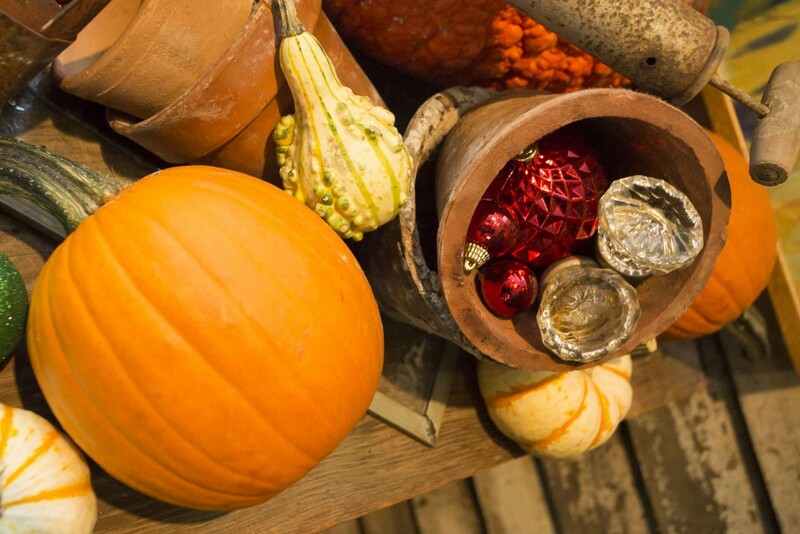 Since this part is tried and tested, then add terra cotta to the pumpkin and red ornament mix, for an even more nuanced look. It now makes sense to combine and blend those two major displays. Now for the real pièce de résistance. 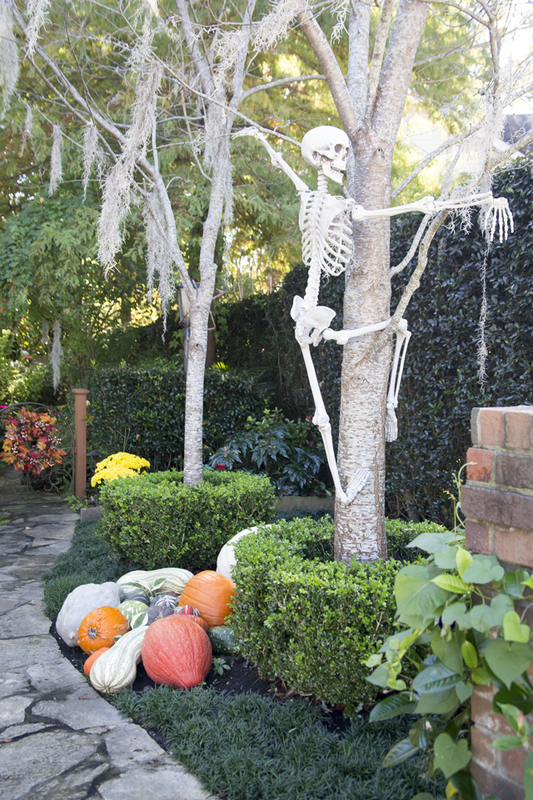 If you have three of those ‘major’ pumpkins left—the ones you used at the front of your display this year–three that match somewhat in size and shape, yet are contrasting, then create a snowman out of them. You can stack them for the body, like the three large snowballs you create in your front yard, then create the face and a few accessories. I used red ornaments for the eyes, a conifer seedpod for the nose, a twig out of the yard for his mouth. The buttons? Acorns I found on a walk. 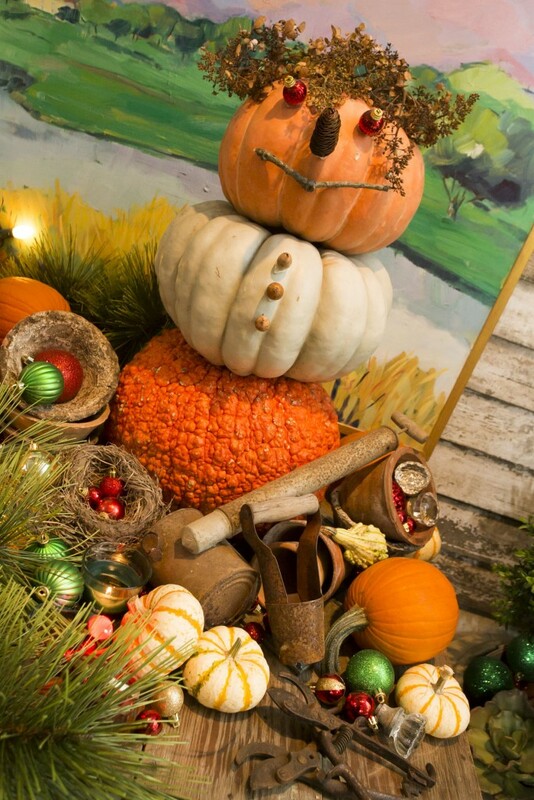 I then finished his look by bringing in squash and ornaments and weathered pieces to surround. 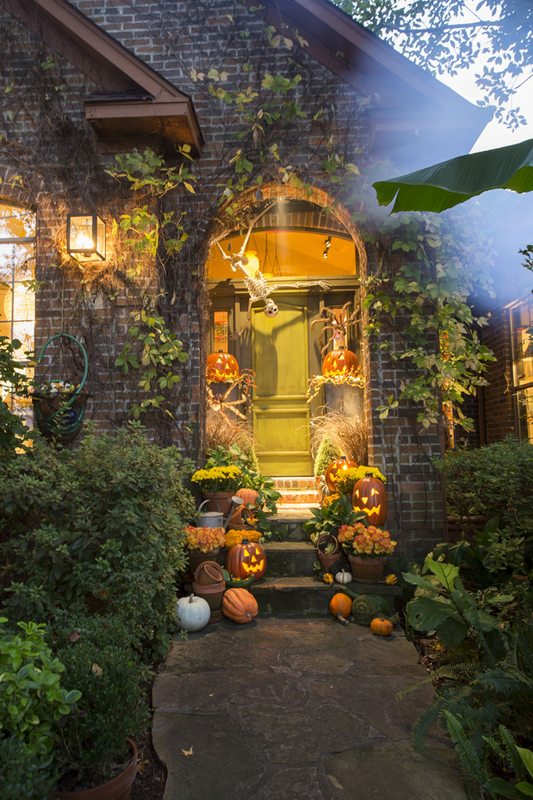 This effect is so natural, so right—combining fall and holiday—that it makes you wonder why all the fuss. Why do you have to segregate these two decorating opportunities? 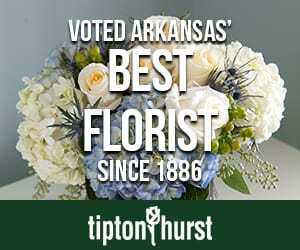 Add boughs like always to create your tablescape. 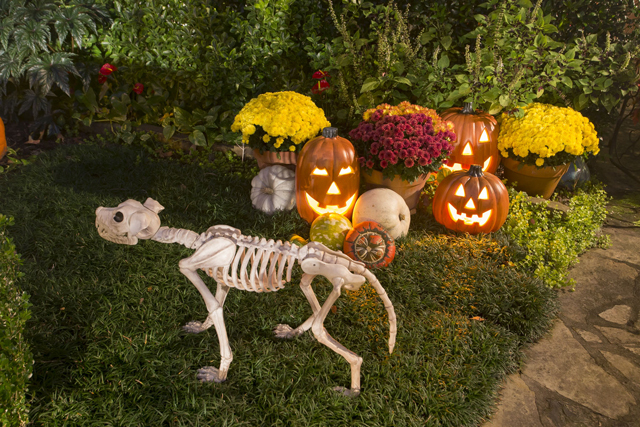 Except now, use pumpkins in addition to typical nests of ornaments. They all nestle in nicely. 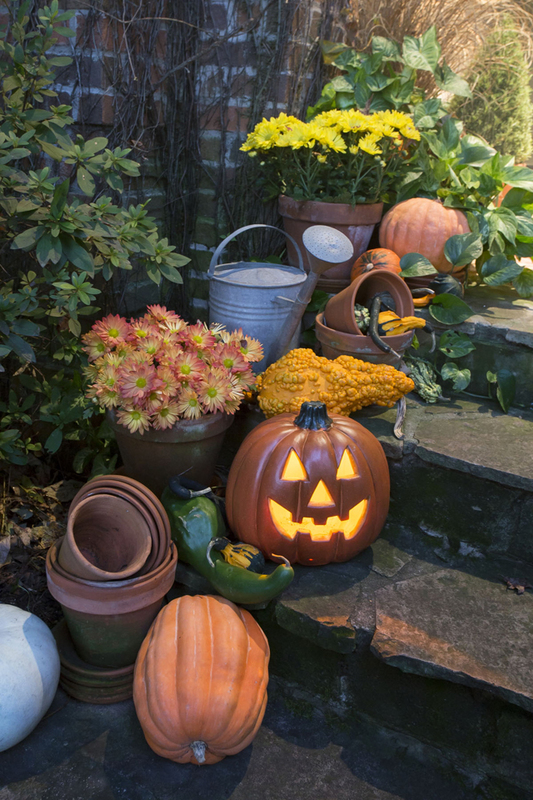 You created a bountiful scene at your steps with pumpkins and seasonal bits of interest a month ago, and it was especially inviting. You don’t have to remove it all and start again. Bring in the holiday greenery and drape around and among your pumpkins. You can add more holiday color, if you like. ‘Holiday’, as in red and green and silver. But just adding greenery can work well for a Christmas display. 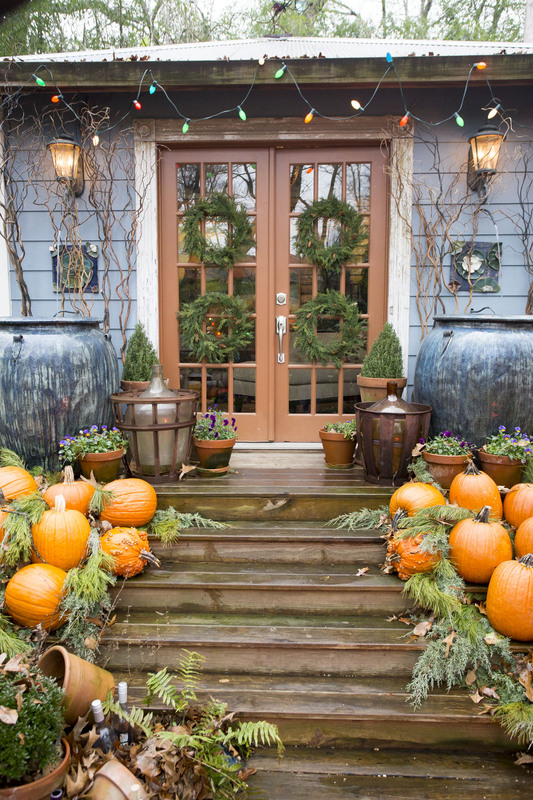 And that pleasing round shape of the pumpkins you sourced some time ago echoes the shape of the wreaths at the door. Isn’t this combination a natural? 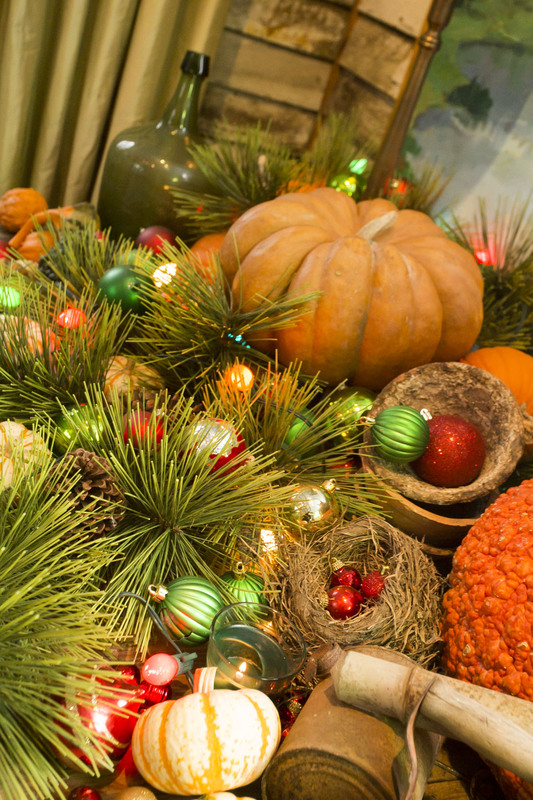 Since fall and winter and their three major holidays follow each other in a straight line, why do you have to keep each decorating event separate? Why not combine, and let them flow into each other? 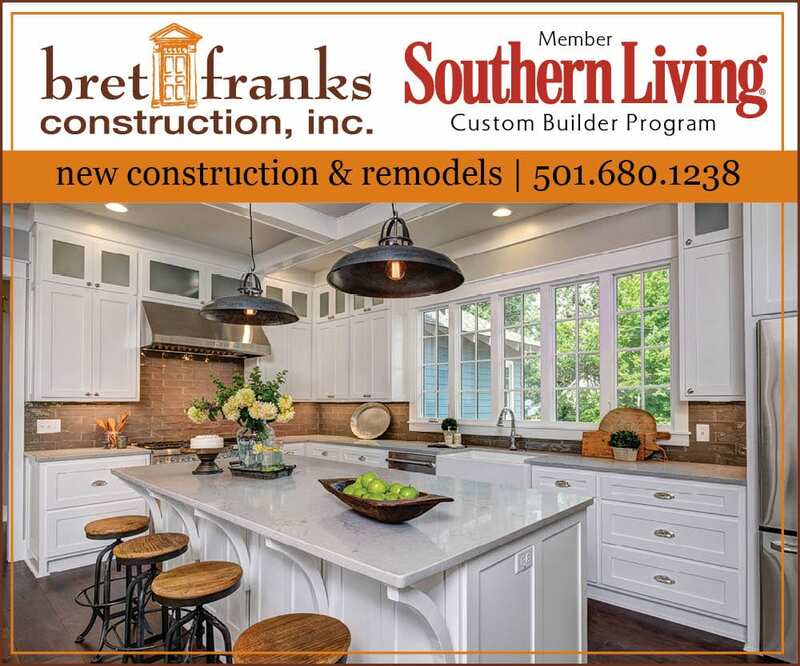 Seasonal color can cost quite a bit. 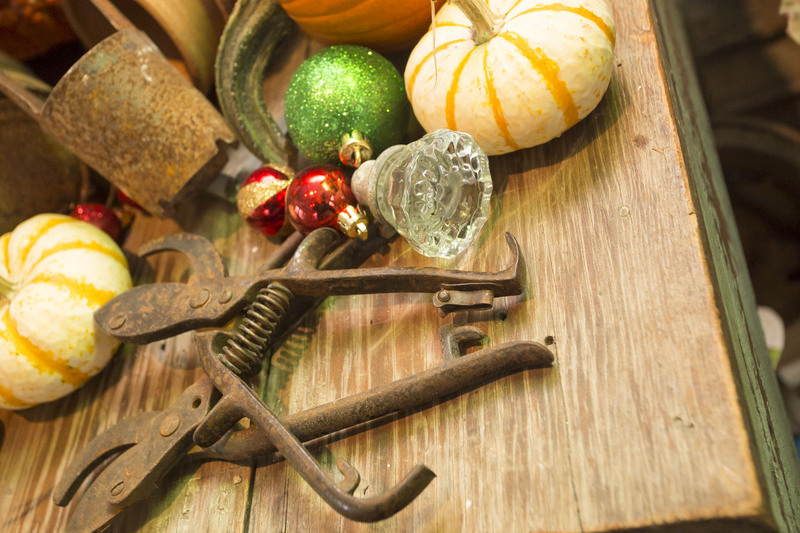 Use what you already have, bring in distinct elements associated with the holiday, and you can save money. But even better, you’ll get a bit of a thrill by knowing that you’ve done what many people say can’t be done, and used your leftover pumpkins for Christmas. How’s that for sustainability? 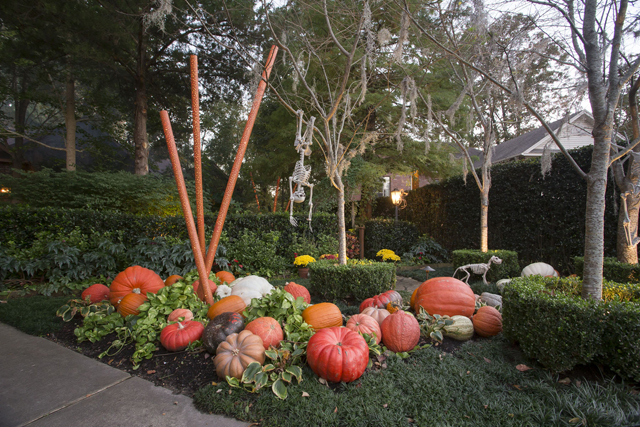 friday favorites : midnight in the garden, pumpkin bread, ping pong and more!